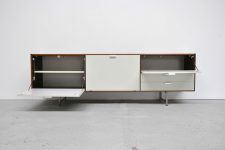 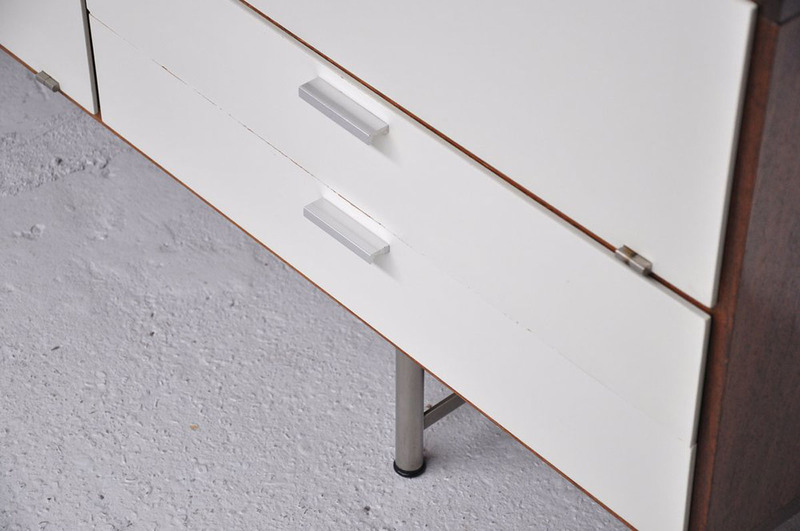 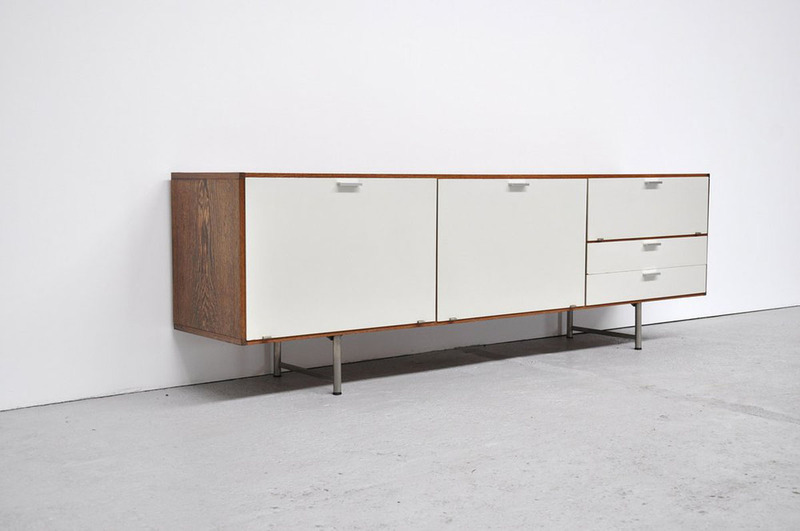 Elegant sideboard designed by Cees Braakman for Pastoe UMS, Utrecht 1960. 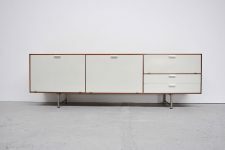 This fantastic modernist sideboard has a wenge wooden storage and is covered with white doors which is a very nice contrast. 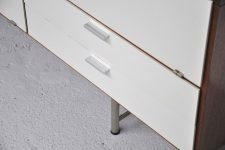 The sideboard has nickel feet and looks very simple but nice. On the left 2 large compartments with folding doors and on the right a smaller compartment with 2 drawers below. 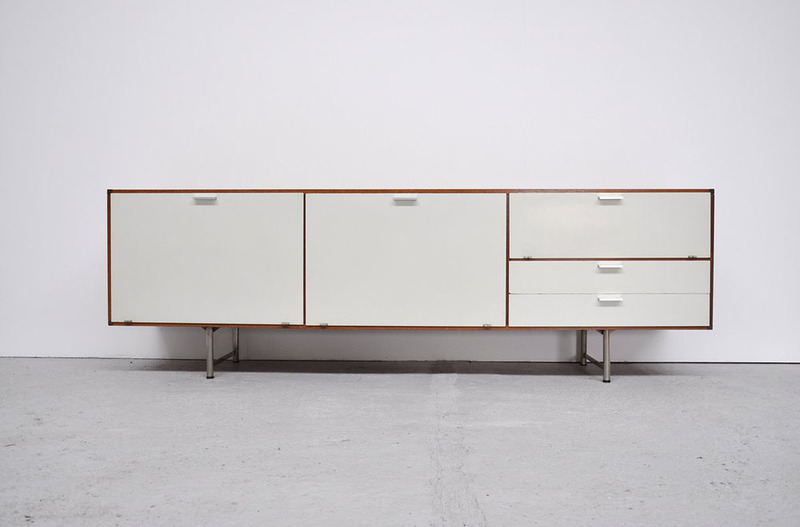 Sideboard is in very good condition.